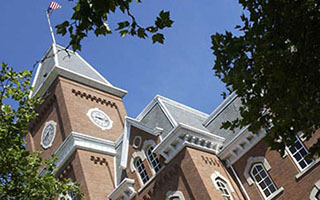 The College of Arts and Sciences is the academic heart of Ohio State and a recognized leader in teaching and learning, research and creative activity, and outreach and engagement. We offer unmatched breadth and excellence in the visual and performing arts, humanities, and behavioral, mathematical, natural and social sciences. Department of Theatre presents: "Legally Blonde, the Musical"
Department of Theatre presents: "Michael Von Siebenburg Melts Through The Floorboards"
The Department of Theatre presents, "Four People"
Bucks for Charity – last chance to make your pledge! The Sports and Society Initiative presents Pay to Play: Who’s In, Who’s Out and How Much?